Updates to John Coleman's profile since your last visit are highlighted in yellow. John Coleman Stewart changed his profile picture. John Coleman Stewart added a photo to his profile gallery. John Coleman Stewart has a birthday today. John Coleman Stewart changed his "Now" picture. John Coleman Stewart joined via Class Connection Facebook app. 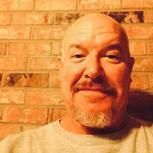 John Coleman Stewart updated his profile. View. John Coleman Stewart changed his "Then" picture.